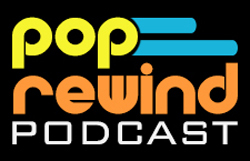 Pop Rewind — Do a Star Fox Watch Roll! 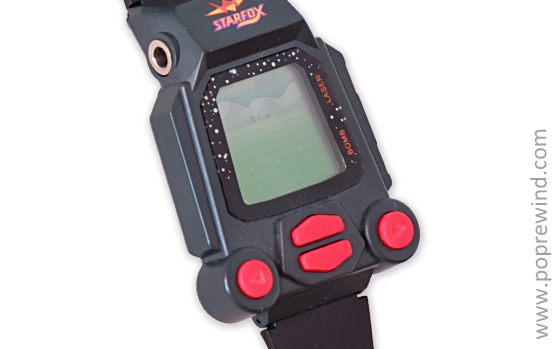 Do a Star Fox Watch Roll! Nowadays, I’m sure it’s no problem to use a cell phone in school; I doubt you even have to sneak it in to the building. In “my day”, however, anything resembling fun was 100% banned from school. It was the 90s and you enjoyed your reruns of Mr. Wizard’s World shown in class like it was the only time you would experience joy in the week. Hot Wheels were banned from recess… RECESS. Can you imagine playing with toy cars on your lunch break and having your boss come in to confiscate them? Madness. 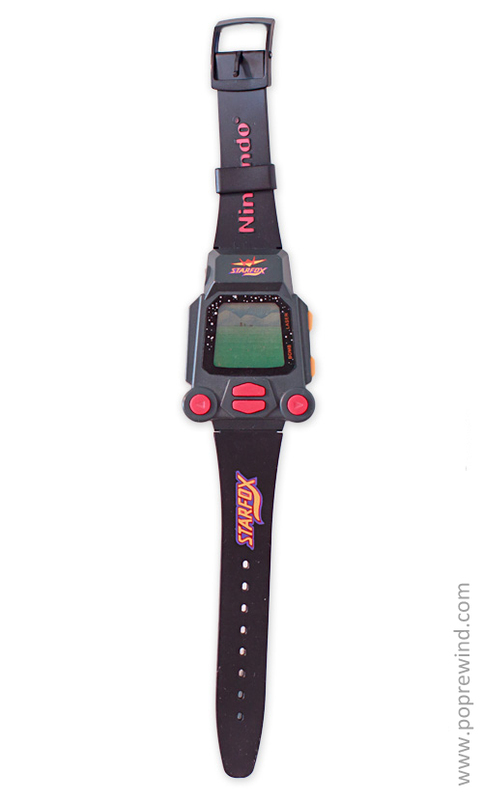 Sure, video game watches existed before Star Fox came along, but this one was the best. The game play, despite crude graphics, was actually similar to the SNES experience. What made this watch unique? A headphone jack was included, allowing gamers the ability to play with sound during class without getting caught. To be fair, this only carried you so far. I’m pretty sure my watch was confiscated during an intense space session at recess, despite using headphones. If you really wanted to be a hipster, you could find the biggest pair of headphones on the planet and attach them to this twenty year old watch. 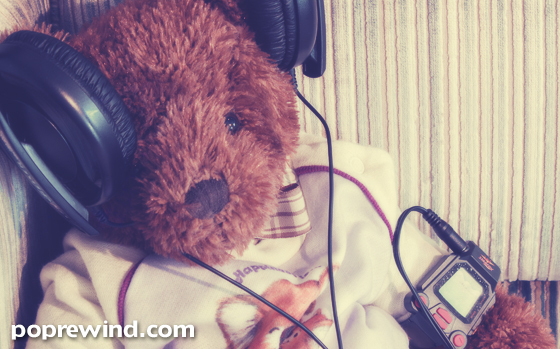 Hipster Bear is totally cool.